Get Ready For Spring With Fast Acting Orthodontics! Winter is only just here, but now is the time to plan your straighter smile for 2019. After the long hot summer, some of us may be a little relieved at the cooler weather ahead of us for the next few months. The novelty of this often wears off quite quickly though, and many of us will already be looking forward to the arrival of spring next year. Spring is a time when we often renew aspects of our lives, and particularly the way that we look, with new clothes and a generally brighter appearance. Cosmetic dentistry can play a part in this too, and some treatments, such as teeth whitening, are especially popular around this time of year. This treatment, can be completed at any time with almost instant results. Other cosmetic dental issues though may take a little longer to resolve and hence need some degree of forward planning. If you have front teeth that are crooked, you will know how this can distract from an otherwise attractive smile. The nature of this problem though means that it can’t simply be resolved with a one off visit to our dental practice near Ashby. To straighten teeth too quickly could cause damage to them and also the bone holding them in place. 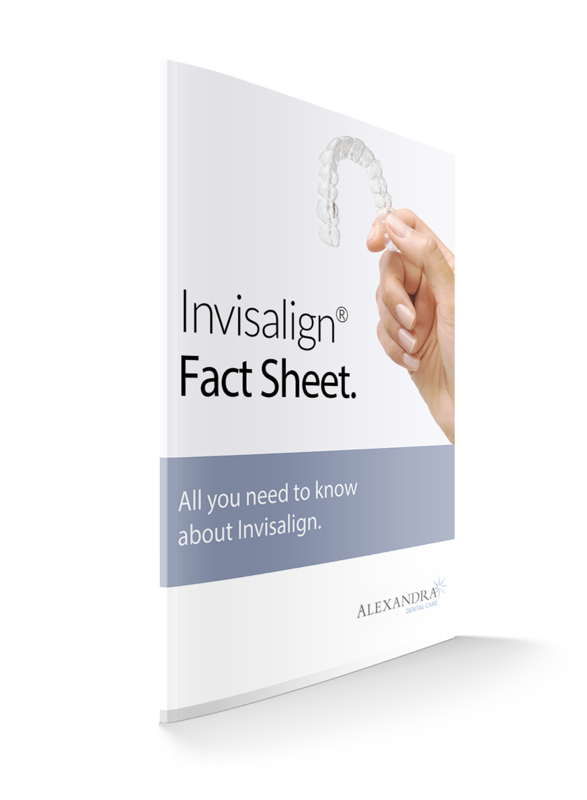 Many orthodontic treatments can take a year or more to correct the positioning of the teeth, particularly for complex cases; some types though, are aimed specifically at minor improvements and consequently work more quickly. One of the best known braces systems that is designed to correct the positioning of the ‘social six’ teeth is the Six Month Smiles orthodontic method. This uses the traditional method of wires and brackets to reposition your teeth, albeit the materials used are more refined than those used in standard dental braces and are also tooth coloured, making them more discreet. Restoration options for patients whose teeth are in very poor condition. The health and general condition of our teeth and gums depends on a number of factors. These include whether we have looked after them or neglected them, whether we have seen a dentist on a regular basis as well as our age and general health, which can also be factors. Whatever the reason, it is fair to say that some of us will be unhappy with the state of our teeth and may feel that it is already too late to do anything significant to improve them. At Alexandra Dental Care, we believe that there is no ‘point of no return’ where a patient will have to live with poor quality teeth that make it difficult to eat, or make them reluctant to smile or laugh out loud because of their poor condition. Modern dentistry now offers many procedures that can restore your teeth to good health and also improve the way that they look. The chances are that if your teeth are in a poor state of health, you won’t have seen a dentist for some time. This is the first step that you should take. If you live in the Ashby or Swadlincote area, giving us a call on 01283 216347 is a great place to start. We will arrange an initial consultation with you to assess the health of your teeth and gums and discuss a suitable treatment plan. What treatments you undergo will obviously depend on what is needed to restore your teeth. We will advise procedures that we feel are necessary, as well as some which we feel would be beneficial from an aesthetic viewpoint if you want to have the best looking smile possible. These ‘cosmetic’ treatments may include the likes of modern orthodontics such as Invisalign, along with teeth whitening to bring out the whiteness of your new smile. You will not be ‘pressured’ into having these treatments though and they are purely a beneficial option. For the purpose of this blog, we will take a look at some possible treatments that could be used to restore your teeth, rather than to specifically improve their appearance. Local dentist Baldeep Jalf explains how you can help your children maintain healthy teeth and gums. As a father of twins, I am constantly aware of every little knock or ache and pain that they suffer. Any type of injury or illness is a natural concern to a parent, especially when their children are too young to communicate effectively what it is that is wrong with them, or why it occurred in the first place. Very few children will go through life without banging their heads, or grazing their knees. We can only do so much to prevent these types of accidents from happening, and they are just a part of the ‘growing up’ process. There are other areas of their health that we can affect, however, and one of these is their oral health. This is perhaps the biggest challenge for a parent. There is no getting away from the fact that kids love pretty much anything that contains lots of sugar. Sweets, pop, candy floss etc; all of these are probably at the top of children’s favourite ‘foods’. Most of us will also probably have given way at one time or another, and let them eat more than they really should, just for a bit of peace and quiet. However, this is still an area where we can exercise control, especially in their younger years. There is no need to ban sweets altogether, but whilst they are largely in your care, and not free to roam as they will when older, try to keep their sweet and fizzy drink intake down. Not only will they benefit directly from it, but it may also help them to develop better eating habits, and hopefully reduce their desire for sugary foods as they become teenagers. There is no need to be too restrictive, but a sensible balance, combined with a good teeth cleaning regimen, should be sufficient. Patient advice following IV sedation. Conscious, or IV, sedation is available at our local dental practice and can be very useful for nervous patients, as well as those undergoing longer treatments, such as tooth implant placement. It is a perfectly safe option and is a great way to ensure that even the most anxious person is able to receive essential dental care. There are a number of things which patients need to consider if they are due to have sedation. These are important, not only to make the experience as straightforward as possible, but also, ultimately, to keep you safe following your treatment. Before we look at the safety issues surrounding sedation, it is worth exploring how it actually feels when you have it. The sedation is administered intravenously and works very quickly. It isn’t unusual for patients to tell us that they fell asleep during the treatment, but the truth is that they wouldn’t have. IV sedation puts you into a very deeply relaxed state and it is quite possible that you may not even remember the treatment. Despite it occasionally being referred to as ‘sleep dentistry’ though, you should not fall asleep. When you have an appointment time for your treatment where you will be receiving sedation, you will need to find someone to take you home following the appointment. This is very important as the sedative will remain in your system for up to 24 hours and you could feel slightly “groggy” after receiving it. It is absolutely essential that you do not drive during this period. If you were planning to take public transport; whilst this is preferable to driving, we still strongly recommend that you bring a responsible adult with you to make sure that you get home safely. We recommend that you take time from work to allow yourself to recover from both your procedure and IV sedation. Even if you work from home, you may find that you struggle to focus. If your work involves driving, using machinery or one that requires caring for others, you should definitely take some time off from work for your own and others safety. Here at Alexandra Dental Care in Swadlincote, we often see patients who want to have brighter and whiter teeth. Over the years we have helped many people to feel confident again about the appearance of their teeth with the help of teeth whitening systems such as Boutique Whitening & Enlighten. To show you some of the results our patients have seen with their teeth, we want to share a recent case with you. 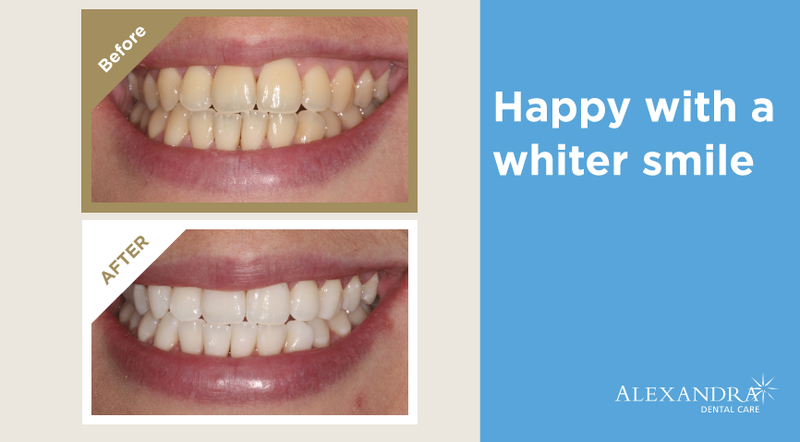 This patient was unhappy about the colour of her teeth and the treatment she chose was Enlighten whitening. Simply scroll down to see the full case study, and use the zoom tools to make it larger or smaller. Did you know that your should never share your toothbrush with anyone? Here at Alexandra Dental Care in Swadlincote we often see patients for routine dental hygiene appointments as well as those who need additional care to manage gum disease. We are happy to help them on their journey to excellent oral health and to see the results of healthy gums and teeth. 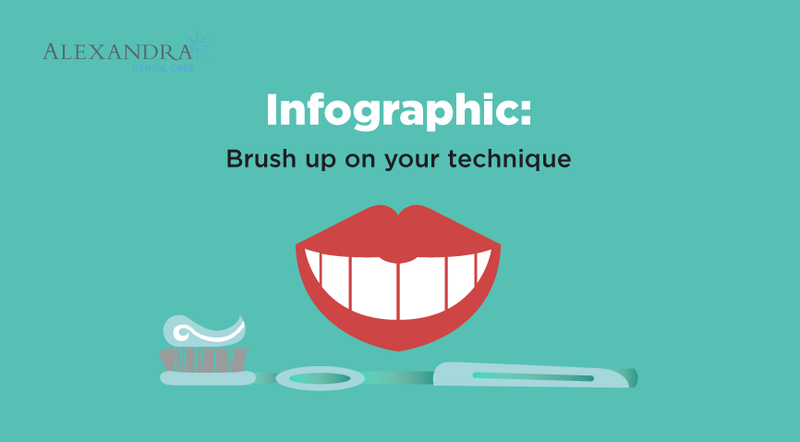 To give you our overview of dental hygiene, along with some handy tips, we have created an infographic. Simply scroll down to see the full infographic, and use the zoom tools to make it larger or smaller. Is There Any ‘Excuse’ For Not Seeing A Dentist? Having worked in the dental profession for many years now, we have heard many different reasons why people haven’t been to see a dentist for a long time, before being forced to because of a painful toothache. Some of these reasons may be legitimate for a short period of time, such as illnesses. Unfortunately, all too often, these ‘temporary breaks’ last for much longer than initially intended. Especially where there are no obvious problems, such as a painful tooth, it can be all too easy to presume that everything is OK, so why bother to see their local dentist? Unfortunately, even where the patient may not notice any problems, it is possible that decay or other issues such as gum diseases could be starting, potentially with more serious longer-term consequences such as periodontitis. With this in mind, we take a look at some of the reasons that people occasionally give for not seeing a dentist, and also our replies and recommendations. Dental anxiety is a major reason why some people don’t see a dentist and may be founded on a bad experience when they were younger. Dental practices have changed dramatically over the years though and, if you haven’t been for some time, we feel that you will likely be surprised at the difference. Dentists are now generally more aware of and sympathetic to nervous patients and will treat you as gently as possible. It is important to remember that, by not seeing a dentist on a regular basis, it is almost certain that you will eventually need to have more extensive treatment than if you had regular care. We do offer sedation for our more nervous patients, so please do ask us about this so that you can access essential dental care. ‘The best things in life are free’, as the saying goes, but unfortunately this does not apply to dental care. Like all businesses, we need to cover the costs of years of training and modern dental equipment to allow us to maintain a high-quality service. At Alexandra Dental Care, we have taken time to seek out the best payment plans for our patients, and these can be used to help you to spread costs over a longer period of time. These can also be used for cosmetic treatments, as well as routine dentistry. 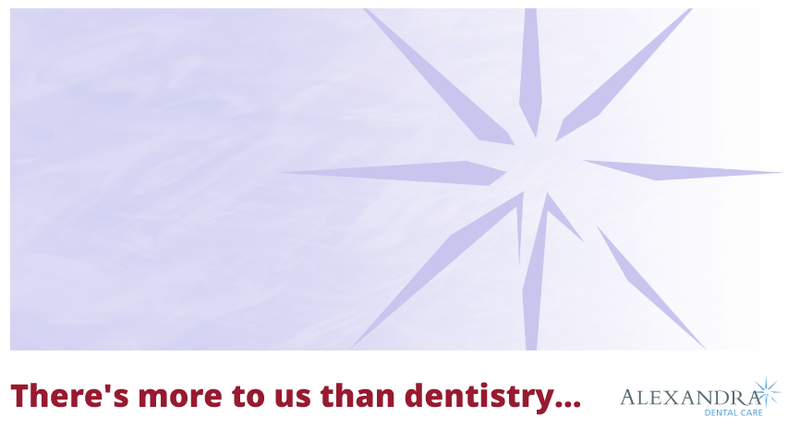 Here at Alexandra Dental Care our practice ethos is based on the whole team being dedicated to providing you with the very best in dental care. Since principal dentists George & Yogi took over the practice in 1996 our aim has been to deliver the highest level of patient care and dentistry on a relaxed and friendly environment. We are proud to serve our community in Swadlincote and we love helping our patients to have optimal oral health, which is strongly linked to general health. Consistently Bleeding Gums? – Seek Prompt Dental Assistance! This could well be an early warning sign of something more serious warns dentist, Dr Vishal Rana. We may not think about our teeth a great deal of the time, and generally, we probably sail along with our regular routine of brushing our teeth twice a day and paying a visit to our local dentist every six months or so. This is definitely a good start for anyone wishing to have a healthy mouth. Other than this though, unless we break a tooth, or have a toothache in between, we probably don’t think much about our teeth and gums at all. To make sure that our mouth remains healthy, we would like to take this opportunity to remind patients of Alexandra Dental Care to be aware of anything that seems unusual in the oral cavity at any time. Some of these may be harmless and have a logical explanation. Sometimes though, they may be early warnings of trouble ahead. Early intervention, where appropriate, can mean the difference between a minor procedure and one that is more extensive. Where medical treatment is necessary, starting it early can make a big difference to the outcome. In today’s post, we look at some of the unusual signs that we would recommend you have checked out at our dental practice in Swadlincote, near Ashby. This is probably one of the better known issues, thanks to regular advertisements for gum disease toothpastes on TV. The presence of blood in your saliva when you spit after cleaning your teeth, is never a good sign. There are occasions where this may happen because your brush has a sharp edge or even if you floss incorrectly. Generally though, if this happens more than once, you should allow us to examine your mouth. One likely cause of bleeding gums is gingivitis. This can usually be managed quite well if treated early on, and is often reversible. However, advanced gum disease is much more serious so we do urge you to contact us if your gums have started to bleed when you clean your teeth. 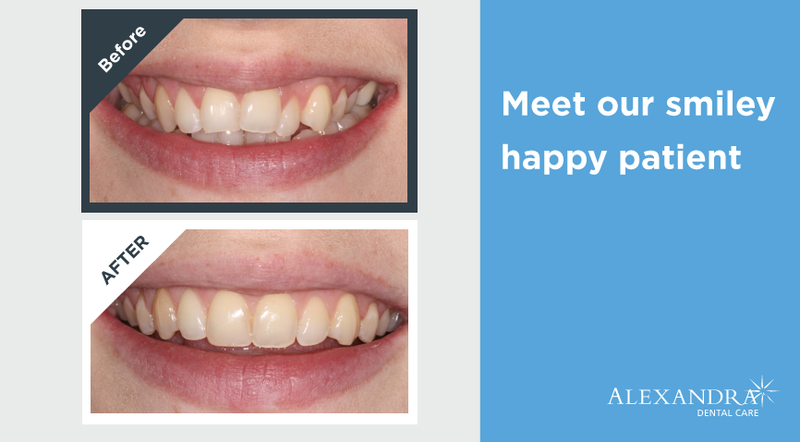 Here at Alexandra Dental Care we often see patients who are unhappy about the alignment or positioning of their teeth. Over the years we have helped many people to feel confident again about the appearance of their teeth with the help of modern teeth straightening systems such as Invisalign, Six Month Smiles and Inman Aligner. To show you some of the results our patients have seen with their teeth, we want to share a recent case with you. This patient was unhappy about the alignment of her teeth. She felt that her two front teeth were prominent and her back teeth were in standing so the treatment she chose was Invisalign.